A) a .csv file with the COP coordinates for medial-lateral in column 1, anterior-posterior in column 2 and vertical force in column 3. If you don't have vertical force simply copy column 2 into column 3. ​don't have to delete them. This site uses Dropbpox to upload your files to the server and allow them to be processed. 1. This data is stored for no more than 24hrs, with all copies automatically deleted within this time frame. 2. The server is encrypted, password protected etc., however like anything to do with computers is not 100% safe from attacks to steal data. Please do not put any patient identifying information on there. 3. Everyone can see and analyse your data, so keep that in mind. They cannot copy the raw data or download your files. This analysis program will filter, process and report the results of your data using both traditional (eg. path length) and advanced (eg. wavelet) techniques. You can adjust the filters and other settings, but the default setting are optimal for most needs. The data format is three columns: 1 = medial-lateral, 2 = anterior-posterior and 3 = vertical force. 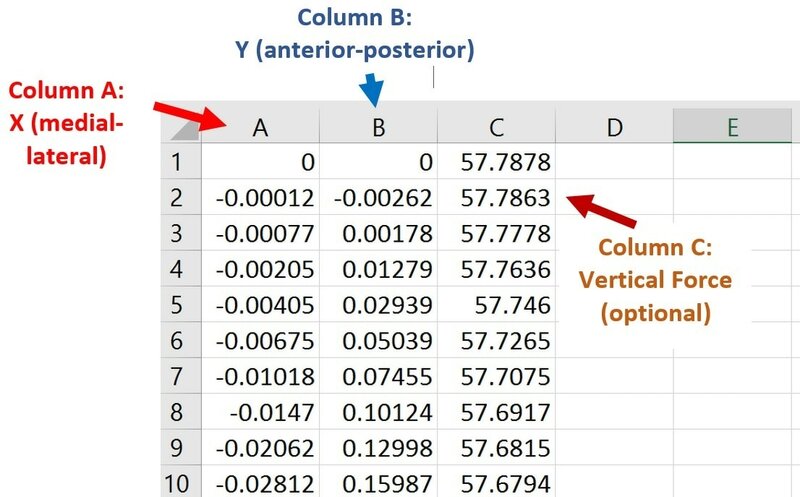 You must have three columns of data - if you don't have vertical force simply copy anterior-posterior data a second time and put it into column 3. There are no headings and no time column, so you need to know the sampling rate of your data to input into the program. If your data isn't output like this from your system the following video shows how you can make a simple macro in excel without any programming at all to easily and very quickly convert your data into this format for upload and analysis. 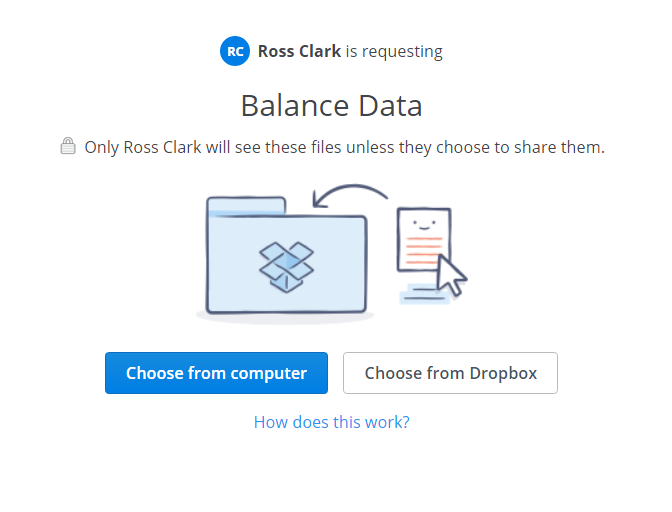 This is really simple and uses a Dropbox file request method. This website is built using Websockets, which allows you to interact with your data. Websockets is commonly used for high level website interaction, but some workplaces with strict security block it by default. You can test to see if it is blocked by clicking this link. If it is blocked you can use alternative networks (your personal internet will allow it) or contact your IT department to see if they can allow it for this specific site. If you run some analysis then leave the page open without using it for awhile you might find that it won't be interactive. You can try refreshing it using the buttons on the page, but if this doesn't work either do a "hard refresh" (CTRL+Shift+R for chrome, google the keys for other browsers) or close all of the browser pages and then restart it and come back to the website. The hardest part of designing a website like this is ensuring that the server stays active, as there are many ways it can crash (eg. power/internet outage, strange inputs making the software hang etc.). We have tried our best to make sure this happens as infrequently as possible, but it can still happen. If no matter what you do it won't work then please contact us and we will check the server. It is automatically setup to reset every 12 hours, and given time zone differences we may not be able to respond before then, so if you don't get a response within 12 hours please re-try the site. Please try your best to make sure that the data is formatted correctly. If it is not then the program has in-built checks to reject it.